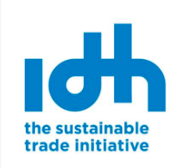 IDH (Sustainable Trade Initiative) is an organization that works with international traders and producers of various commodities aiming to support sustainable production through its network. With True Price, IDH wanted to gain insight into the environmental and social costs of 4 key agricultural commodities in 4 countries in order to compare across sectors and to inform their sustainability programs. With our True Price scan, we measured and quantified the external social and environmental costs of each sector. Within this scan we calculated the living wage gap for workers and living income gap for farmers using our rigorous data collection methods and our benchmark calculations. IDH obtained a systematic overview of the most material impacts of producing these four commodities as well as recommendations for the further improvement of their (investment) programs. These insights can help IDH set up their investment strategy and facilitate collaboration in the sectors.